The wait is over, we have a new free printable up for you. Our love for antlers and florals have gotten the best of us. 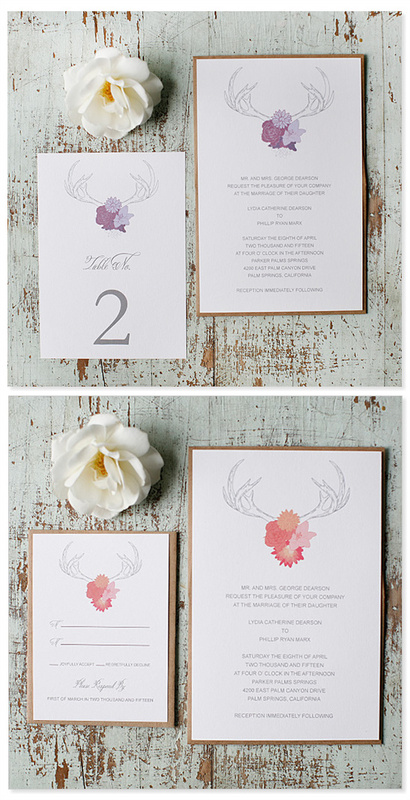 You can download your Free Antler Wedding Invitations in purple or peach here. Of course all the text and dates are completely customizable. We want to mention that the text on the invitation is completely customizable. Use this invitation for any event or occasion or as a menu or program. We give you sixteen fileds for text, so have a ball! To create spaces before and after the names, as well as between the address and the receptions line, we simply skipped a filed. 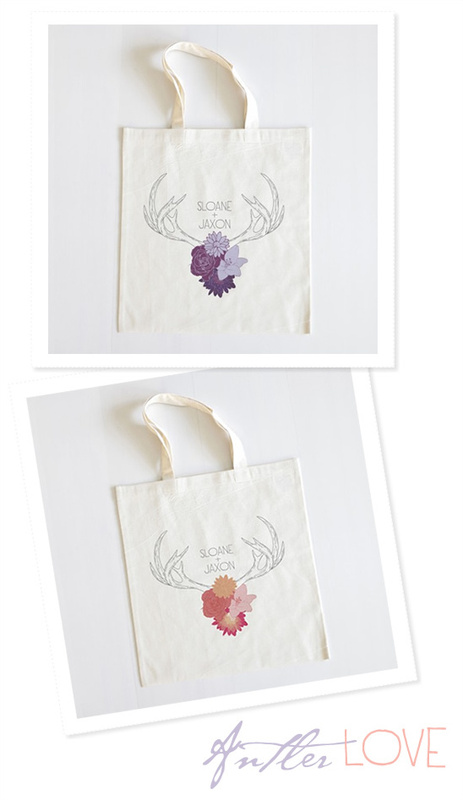 Did we mention we have the coordinating antler tote in our shop for $10. You can pick one up by clicking here.